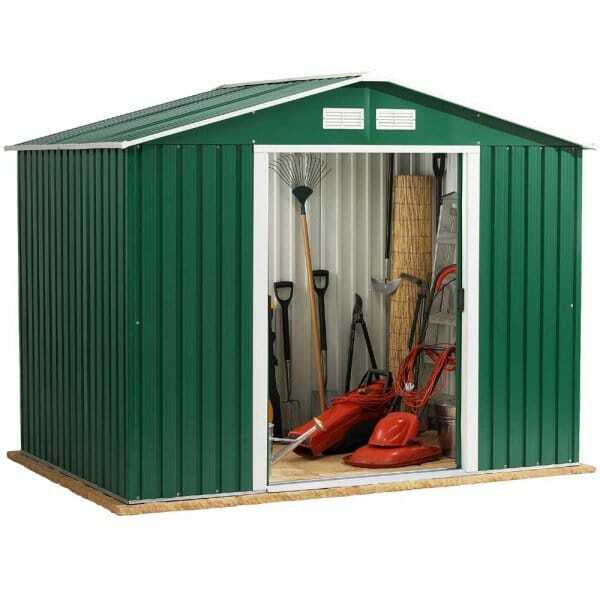 Storemore Rosedale Metal Garden Shed: The Storemore Garden Shed comes in this durable and practical design, and has a 2.61m (8ft) front gable wall perfect for storing taller garden items. The Rosedale Shed is made with a sturdy metal design which offers many key advantages in that they are potentially very secure, requiring nil maintenance and are extremely durable due to the use of hot-dipped galvanised steel cladding. The Storemore Rosedale Shed also includes 10 year manufacturers warranty.